Stella Abraham: Are you thinking about the $8000 Tax Credit for First Time Buyers? Are you thinking about the $8000 Tax Credit for First Time Buyers? Are you thinking of cashing in on this $8000 Tax Credit for First Time Buyers? 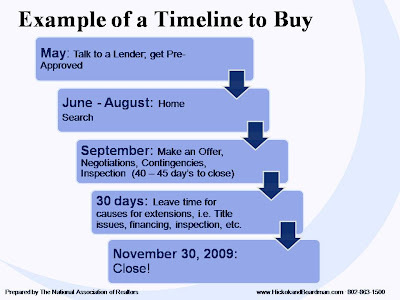 Have a look at the chart above to see when you need to start looking at property............would suggest you start to look for an agent who will help you so that you don't miss this opportunity! If you fancy a chat about how a realtor can work for you then please give me a call 802 846 9552. Did you know that using a realtor when buying could be free?